Black tie in the green mountains! For a rustic elegant wedding on the shores of Lake Champlain and a couple with a great sense of humor we created a wedding suite populated with woodland creatures! 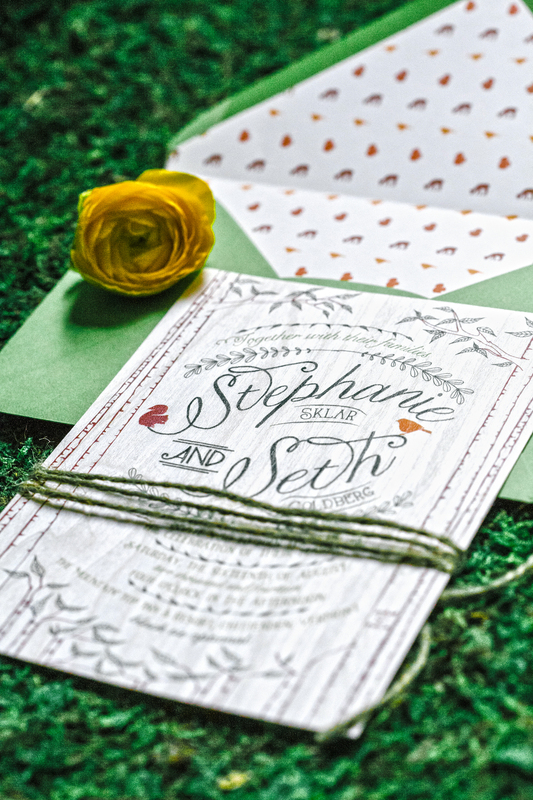 The invitation was printed on Aspen wood veneer with a perky green envelope and critter pattern envelope liner. A laser cut moose card was made to handle the other events of the weekend and the couple's website URL. The front side of the reply postcard was printed with a custom illustration of the venue. Each table used a picture cue of an illustration of a woodland creature dressed in formal wear. 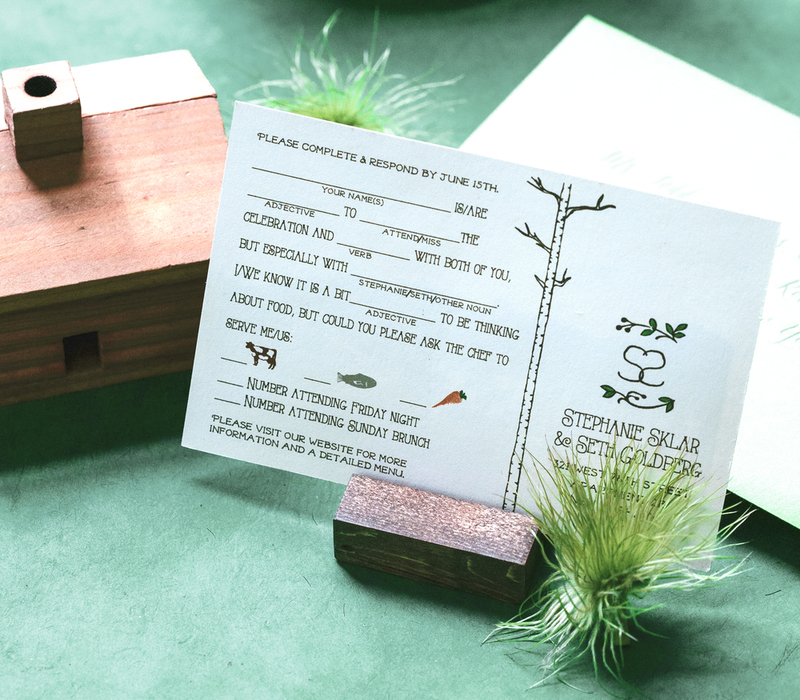 The dinner menu, like the invitation, was printed on aspen wood veneer. A series of snarky signs were displayed around the reception to keep the funny vibe alive!